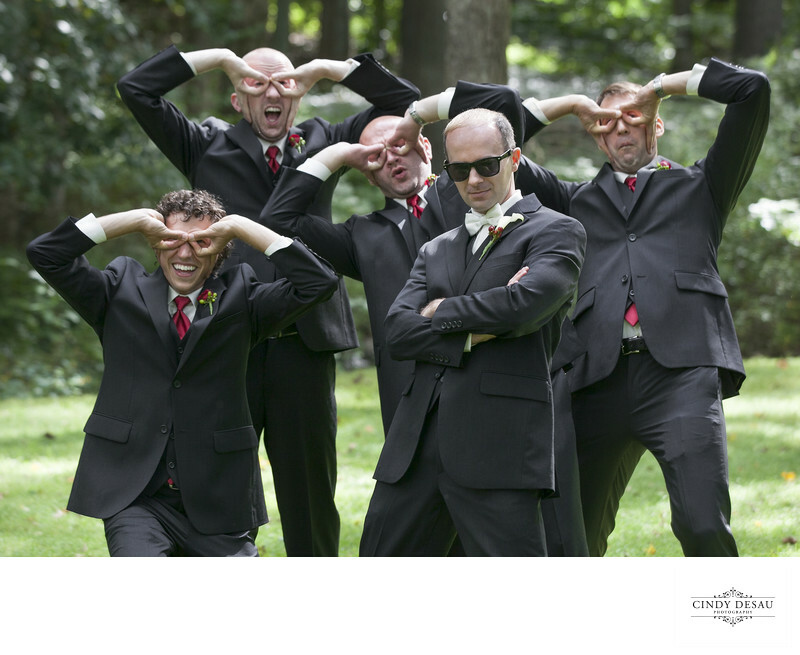 Okay, I’ve had groomsmen wear sunglasses for their formal wedding photos before, but this is a fun new take on the groom’s photography session. The groom had his sunglasses. His groomsmen did not. So what did they do? They invented them! How funny is this photo of the guys creating their own pairs of shades?